PowerFX unleashes the virtual voice of a youthful Swede in its new addition to the Vocaloid roster. 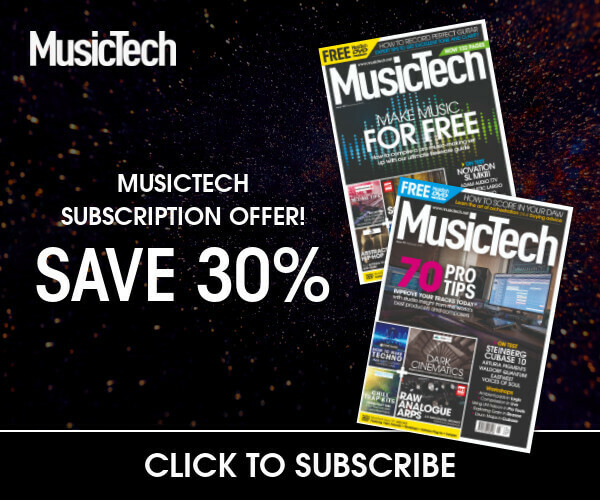 Will Hollin Jones sing its praises? The human voice pretty much occupies the top spot in the hierarchy of sounds that are difficult to synthesise. Programming instrument articulations is more or less feasible these days, but trying to account for the near-infinite variations of the human voice is a far more daunting task. 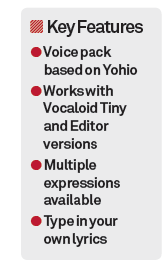 Yamaha’s Vocaloid technology seeks to do this, and here we’re looking at the YOHIOloid pack, but it’s impossible to do that without digging a little into the environment in which it works, the Vocaloid Editor. 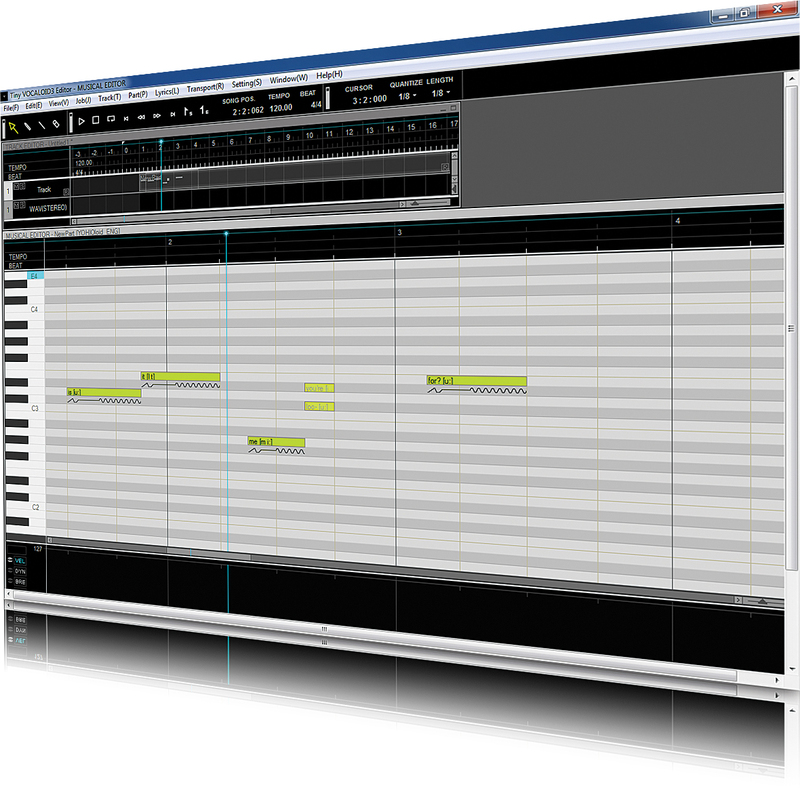 It’s is a Windows-only application and also runs as a VST plug-in inside a PC host. The pack can be downloaded or ordered on DVD and it’s around a 2.5GB install. 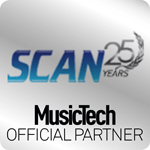 It comes with the Tiny Vocaloid Editor app, which provides single-track functionality. You can bundle the full Editor software at a discount; this unlocks more functionality if you intend to use it heavily. We reviewed YOHIOloid in the free editor, running both as a standalone app and as a plug-in. Perhaps unsurprisingly, Vocaloid is based on a combination of sampled and synthesized voices. Indeed, this add-on is named after a real person, so you would expect that person to have been involved in its creation. 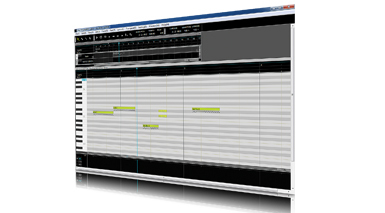 Vocaloid works by splicing and processing vocal fragments from a real singer, adding vibrato, changing pitch, length and so on to match your input. In the Piano Roll editor you enter notes, and on each note you also enter a lyric that you want the software to sing. Although Vocaloid is billed as being easy to use, there is a learning curve and you’ll want to work through the manual before trying anything ambitious. 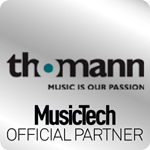 The concept is straightforward enough, but this type of technology isn’t perfect yet and even Yamaha often words its claims carefully, pointing out that to get the best results you will need to invest time and effort in programming your parts. 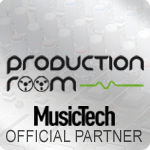 At the top is the Track Editor, where you can work with imported WAV files and tempo information. Underneath is the Piano Roll, where you create your melodies and lyrics. It’s also possible to call up a mixer window and a Control Parameters section, where you can add expression, dynamics and so on. Once notes have been entered you can right-click to access their properties and manipulate expression, vibrato and other parameters. At times Vocaloid works well, but at others it doesn’t really grasp the words you enter – and I’m not talking anything particularly complex. You need to read up on how it processes specific sounds and make tweaks accordingly when it comes across a word that it’s decided to simply sing as ‘ooh’ or ‘aah’. It’s reasonable to expect that programming a virtual singer might involve a little work – and it does. It’s not too arduous, but be prepared to spend time getting it right. You can quantize the performance and play with tempo, since at this stage it’s just MIDI. Once you’re happy with a performance you can export it as a WAV file either to a musical track within Vocaloid or to your Desktop or DAW. YOHIOloid is based on the vocals of Yohio, a 17-year-old Swedish singer and guitarist who is popular in Japan and has enjoyed success in Sweden, too. The voice is recognisably that of a late teenage male, comfortable in the mid and upper midranges. It sounds good, especially if you spend time altering the setup to add presence, bend and so on, which can make it sound more realistic. 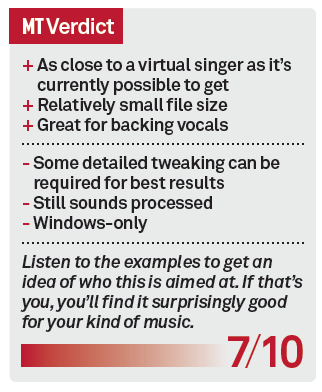 If you want your vocals to sound like Adele, nothing in Vocaloid is going to get you there. By definition there’s still an element of artificiality here – it sounds more processed and synthesised than a real singer, even if the results are much better than you may first have imagined. It’s aimed more at electronic pop (and perhaps largely the Japanese market, judging by the example tracks) but where YOHIOloid and Vocaloid more generally could fit into a wider range of musical styles is in performing backing rather than lead vocals. In that situation you wouldn’t necessarily pick up on the more obviously software-based characteristics of some of the voices. 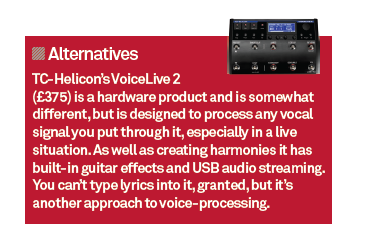 It’s nonetheless a solid voice synthesizer, though perhaps of niche interest.